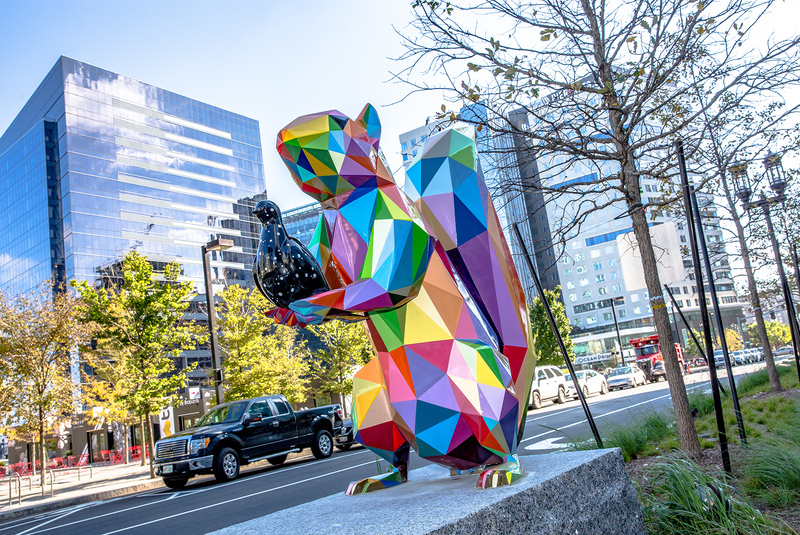 Okuda presents a squirrel holding a pigeon to represent one facet of the diverse animal kingdom: domestic creatures. Referencing Coexistence (a bird in hand), these two animals can often be found where humans are: stealing a bite or picking up after us. Okuda suggests that to keep an environment in equilibrium, the natural characteristics of an animal must be free.